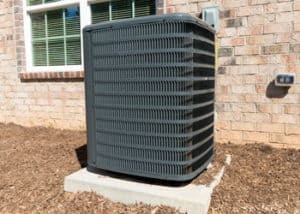 Cooling your home down again once your air conditioning system fails, or installing a new air conditioner if you need to buy your first air conditioning unit is what your Lake Nona AC Repair company specializes in. For over 25 years, we’ve been proud to supply our neighbors with cooling, soothing relief from the hot summers, and with indoor comfort in the year round warm temperatures. Lake Nona is a beautiful place to live, as you’ve found out, but it does get hot! The AC repair Lake Nona has trusted for years is proudly delivered by the company that has received a Better Business Bureau rating of A+, DC/AC AirConditioning & Heating. 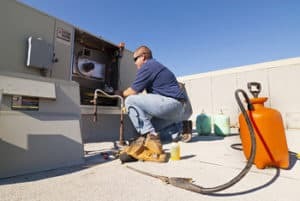 We know exactly how to repair your AC and we’re determined to see that you’re 100% satisfied with all work performed by our licensed, bonded professional technicians. We listen to your concerns and we have the unmatched expertise to fully repair your system to its original working order. Keeping your AC serviced is an excellent idea in our hot, humid climate. We do that for you through periodic tune ups and checks, along with servicing and replacing any failing parts. You want your home to be comfortable year round and don’t want to have to worry about your AC system going out on the hottest days. Our technicians will be happy to come out and evaluate your individual needs and give you the best service possible in a fair and honest way. Contact DC/AC AirConditioning & Heatingtoday for a free estimate. Call (321) 436-6595. You’ll be thrilled with the advice we can give you that will help you to see reductions in your energy bills. Our technicians are knowledgeable about energy efficiency ratings, and determined to supply you with the most efficient and eco-friendly AC systems available today. Not only will your energy bill be noticeably lower, your carbon footprint will also be reduced with a new cutting-edge, energy saving system. Once we’ve finished our work, we’ll be sure you thoroughly understand how to use your new system, or that you are fully aware of the repairs that were done on your existing system. We take time to listen to you and to fully answer every question you have. If there is any paperwork to fill out so you can receive rebates on your new system, we help you with that, too. The AC service Lake Nona relies on is in tune with your needs and desires. We know you want not only energy efficiency, you also want a system that is cost-effective and environmentally friendly. We strive to deliver exactly the right system for your needs, or the right repairs you need every time. We’re proud to deliver exactly the AC Service Lake Nona needs. We’ve been serving the Lake Nona area for decades with the Lake Nona AC Repair and service you need. We know all the nuances of living in the area and we’re aware of how weather, humidity and heat affect homes and businesses here. 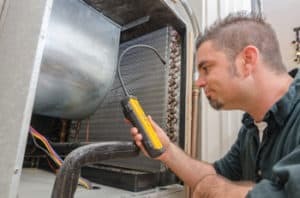 We strive to make sure the Lake Nona air conditioning service you rely on is provided with integrity and a full commitment to your unwavering satisfaction. We know that when you’re happy with the work we’ve done, you’re more likely to refer us to your family and friends. The biggest compliment we can receive is hearing that someone you know gave you the advice to call your Lake Nona AC Repair experts, DC/AC AirConditioning & Heating. That trust is priceless and something that we never take for granted, and we work tenaciously to keep it.